One of the biggest financial decisions you can make is where to call home. 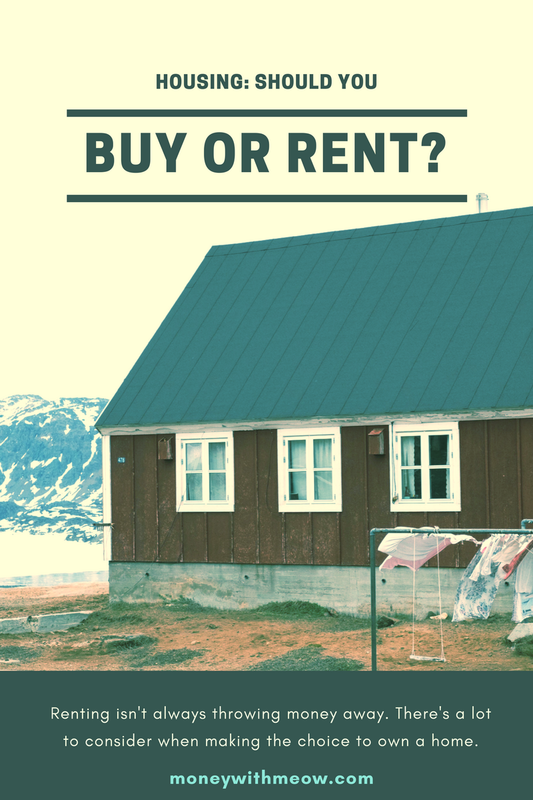 So, should you buy or should you rent? There's an adage that says, "renting is just throwing your money away." I maintain that this isn't true. Like many things in life, the real answer is: it depends. If you are the kind of person who doesn't handle maintenance well, or doesn't want any more responsibilities, renting is for you. People who like yard work, home maintenance, and spending Saturdays at Lowe's make great homeowners. Designing and upgrading your home can be a great joy! But what about the kinds of people who groan internally even at the thought of changing a light bulb, let alone getting a new water heater installed? These folks are probably better off as renters. As a renter, your landlord or manager takes care of maintenance, leaving you with nothing else to do on those Saturday mornings but put your feet up. Given, this is paid for by your rent, but your landlord may pay a lower overall price for maintenance than you ever could by virtue of having an efficient property management system- especially if they have multiple buildings. If you transition from renter to home owner, don't just save for your down payment. Make sure you have a House Emergency Fund on hand. This can be an expanded version of your regular emergency fund, or you can keep it in a separate account entirely. As a home owner you'll be living with an increased likelihood that some kind of sh*t is gonna go down- potentially quite literally! I recently read a testimonial from a man whose septic system took an unexpected dump. The Emergency Fund saves the day again! If you don't plan to stay in the area, you should probably rent. When you buy or sell a home, you're going to lose a chunk of the value to agents, title, inspections, appraisals, and a whole host of other little costs. Realtor.com says that "On average, home sellers pay their listing agent a commission amounting to about 6% of the price of their home (although that percentage can vary)." On a home sold for $150k, that's $9000- just for the agent! The more often you buy and sell a home, the more often you incur such fees. Consider what having a mortgage would mean for you. If, as a renter, you lost your job, you can downsize relatively quickly or move in with a friend. As a homeowner, you can always sell the house if you lose your job, but what if it happens at the same moment that the housing market is in the dumps? Yes, a couple months of mortgage payments should be padding out the homeowner's e-fund the same as a couple months of rent payments should be padding out the renter's. But for prolonged periods of financial hardship, the renter is lighter on their feet. There are lots of places where a mortgage payment is significantly lower than the equivalent monthly rent, even when you adjust the price for maintenance costs. Other places, there's much less of a difference. Tenant-friendly laws like rent control can also tip the scale in favor of renting, even when you have the means to buy. There's a minimum amount of house you can buy. Why buy a whole house if you only need one room? If you're comfortable living in a tiny space, don't feel pressured to buy a big home as an "investment", unless you're comfortable renting out those empty rooms to friends and taking on the risks and responsibilities of a landlord. If you add up what you spent heating, cooling, cleaning and maintaining all those rooms you don't need, it really detracts from the "investment" value of buying too much house. Conversely, if you have a big family, you might be able to find some economies of scale in buying and get more house per dollar. So is renting just throwing your money away? Not necessarily. The right choice between buying and renting is different for everyone. Take the time to know yourself, your needs, and your location before making the big decision. Do you dream of home ownership, or are you born to rent? 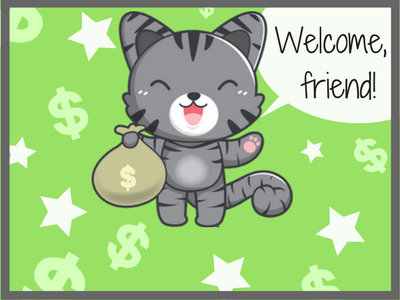 Tell me about your thought process in the comments, or get at me on twitter @moneywithmeow!